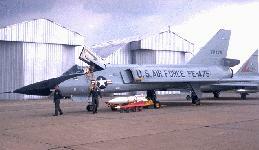 The F-106 began development as an improved version of the F-102 Delta Dagger all-weather interceptor. Originally known as the F-102B, extensive structural and system changes resulted in the aircraft being redesignated as an F-106. . 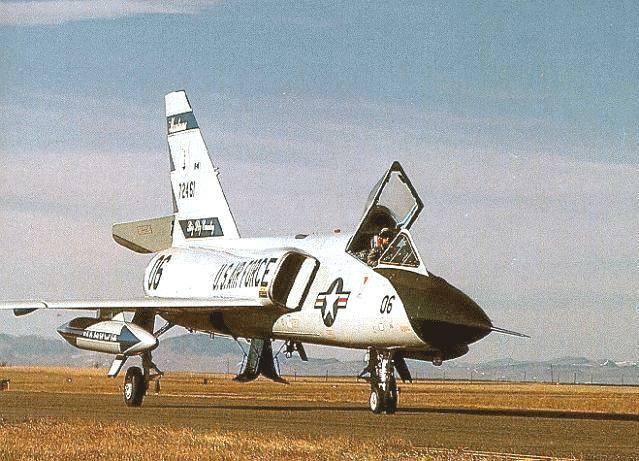 The delta wing remained substantially unchanged, but the fuselage was modified to accommodate more powerful Pratt & Whitney J-75 turbojet. 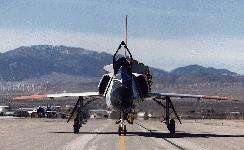 Engine intakes were re-located behind the cockpit and were variable for optimum engine performance at all speeds. 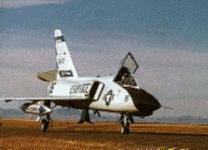 The cockpit was moved forward relatively, and the shape of the fin and rudder changed. 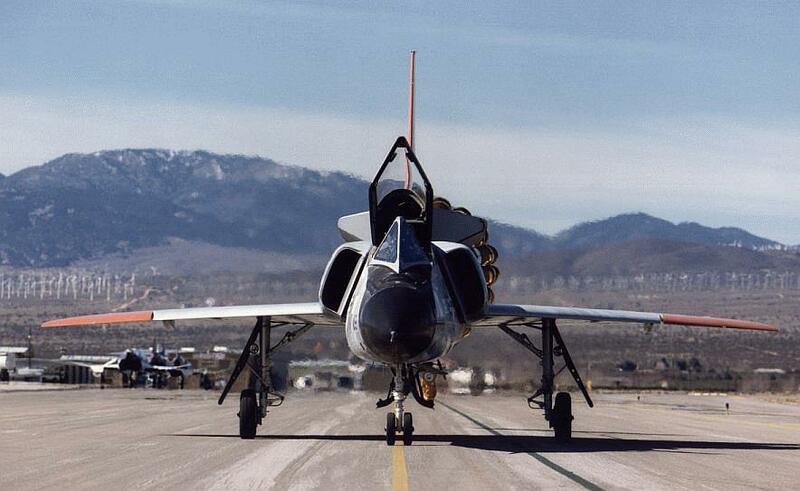 A new undercarriage was fitted, with steerable twin nose wheels. 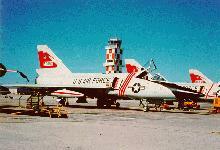 First flight was December 26, 1956, and delivery began to Air Defense Command units in July 1959. 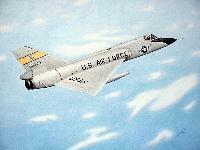 The F-106 attained initial operational capability with ADC in October 1959. The F-106 remained the mainstay of the U. S.'s air defense until 1988 when the last Delta Darts were withdrawn from service. 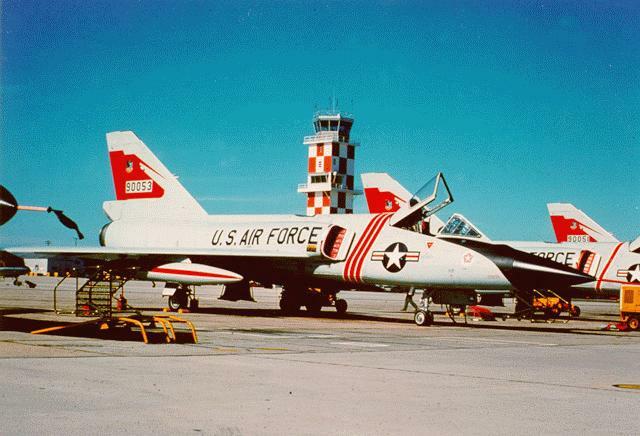 The F-106 was fitted with the sophisticated Hughes MA-1 electronic and fire control system and worked in conjunction with the SAGE (Semi-Automatic Ground Environment) defense system. 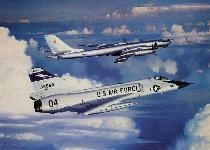 The MA-1 took over control of the plane shortly after takeoff and guided it to the proper altitude and attack position. 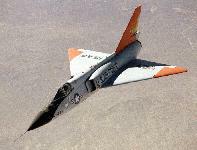 The system would then lock on and fire the F-106 weapons at the intruder aircraft, and return the plane to the vicinity of its air base, where the pilot took over control for landing.